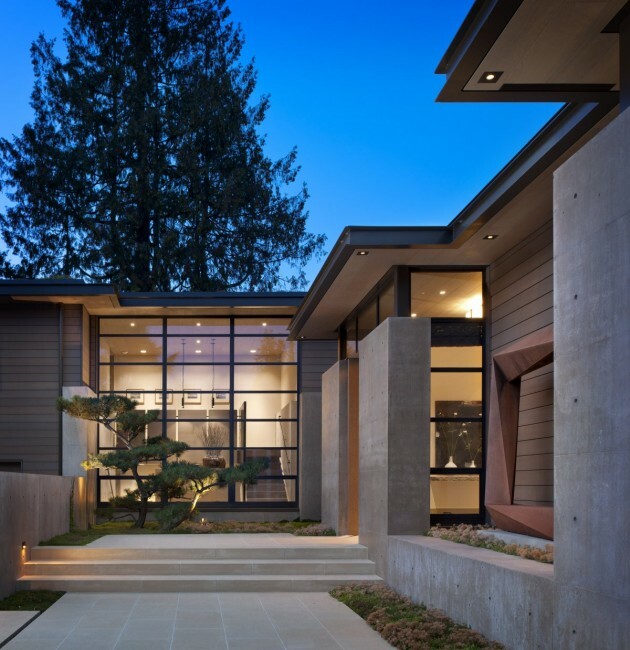 Conard Romano Architects designed the Washington Park Residence in Seattle, Washington. 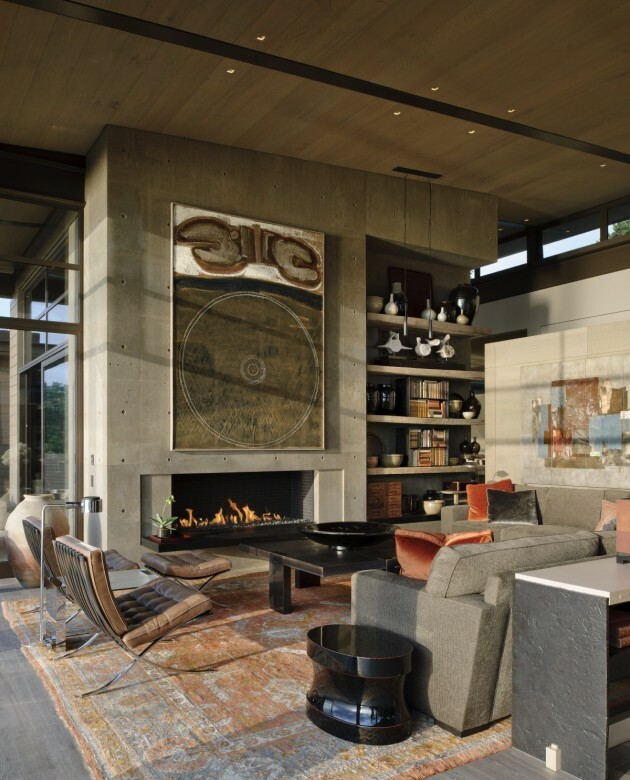 This Washington Park Residence sits on a bluff overlooking Lake Washington with views of the Eastside and Cascades beyond. The house takes advantage of the site by contrasting mass and transparency to capture broad, unobstructed views while preserving privacy. 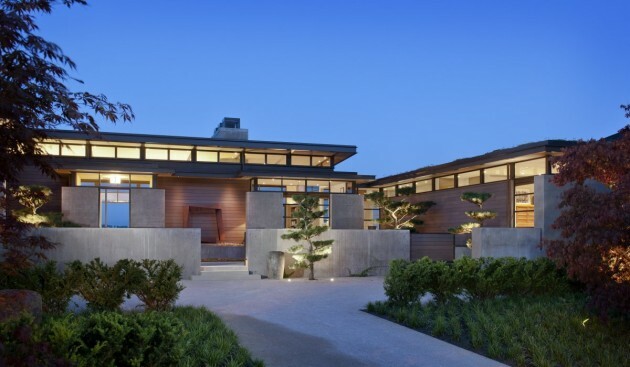 Thick, thermally insulated concrete walls are layered and modulated on the street side of the house to provide carefully framed views from west facing rooms, add depth and shadow to the facade, and orchestrate the entry sequence through the courtyard to the front door. 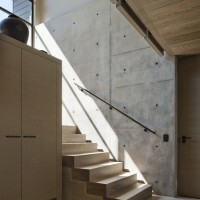 Upon entry, the transparency of the east side of the house is revealed with floor to ceiling windows and doors connecting to a stone terrace. The green roof mitigates storm water runoff while the geothermal heating system reduces fossil fuel consumption.